The Birmingham Zoo is hosting a spring break camp March 25-29. Journal file photo. If you’ve decided to spend your spring break in Birmingham next week, here are a few ideas to help you and your kids make the most of it. The Birmingham Zoo is hosting a spring break camp March 25-29. The revamped program will include more hands-on science, nature play, conversation and “zoo-learning.” The camps encourage active learning through STEM-based explorations, games, crafts, age-appropriate explorations and special encounters with a variety of the animals. Open 8:30 a.m.-3:30 p.m. The Birmingham Zoo will open its seasonal favorites and activities at the Lorikeet Aviary, Predator Zone, Sea Lion Show, Children’s Zoo Splash Pads, Wildlife Show and Wild Slide from March 23 to 31. Admission tickets and unlimited ride wristbands must be purchased ahead of time. Open 9 a.m.-5 p.m.
Game Stop Professionals will have a five-day camp March 25-29 at the Southern Museum of Flight to let participants explore the world of competitive gaming and virtual reality. The camp will teach participants the fundamental skills in gaming and flight, with competitions on the final day. The camp is for children ages 8-14. It offers half-day options, operating 9 a.m.-noon or 1-4 p.m., or full days, operating 9-4 a.m. Early and late drop offs are available. The McWane Science Center is open this spring for fun learning, hands-on museum activities and shows at the IMAX Dome Theater. Four floors of interactive exhibits celebrate science and wonder, from a collection of dinosaurs to environmental showcases, early childhood playgrounds and an aquarium. Open 9 a.m.- 5 p.m.
Vulcan Trail: Mysteries of the Mountain is a special tour of the trail led by Freshwater Land Trust representatives as part of the planned 750-mile Red Rock Ridge and Valley Trail System. It will be given March 23 and 24. Participants will learn about the Birmingham Mineral Railroad and early ore mining on Red Mountain, as well as how the use of this area has transformed from industrial to recreational and how the city skyline has changed over the years. Tour begins at 9:30 a.m. March 23 and 2 p.m. March 24. 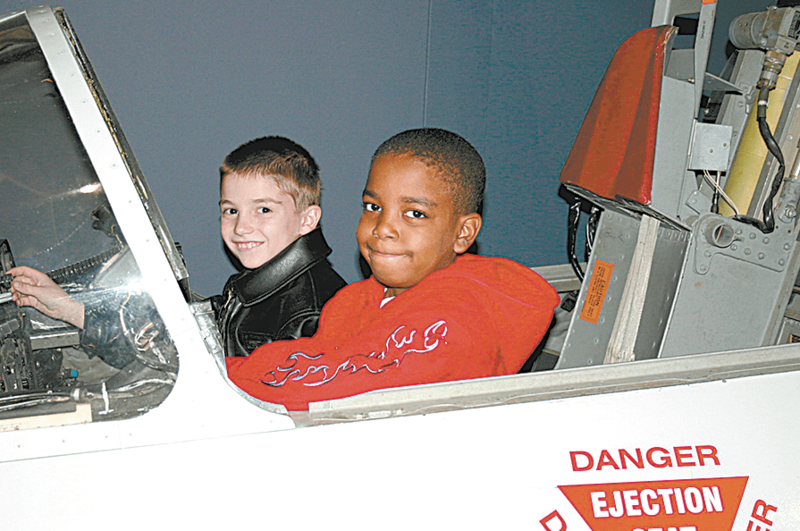 Game Stop Professionals will have a five-day camp March 25-29 at the Southern Museum of Flight. Photo courtesy Southern Museum of Flight. Red Mountain Park offers adventure seekers zip-lines, ropes obstacle courses and rock-walls. The Vulcan Materials Zip Trip involves seven zip lines, a sky bridge and a rope swing. On the treetop challenge ropes course, the aerial elements include swaying bridges, tight ropes and a zip line exit. Obstacles range from easy to moderate to challenging. The 80-foot-tall Kaul Adventure Tower involves climbing on rock and leaf and vine walls. The Mega Zip at the Adventure Tower is 1,000 feet long. Participants start from 80 feet in the air and reach speeds up to 30 mph. Participants must be at least 6 years old and 4 feet, 2 inches tall. Open 7 a.m.-7 p.m.
BCRI provides free educational programs to K-12 students that introduce and explore the lessons of the civil rights movement. It incorporates interactive programs such as a tug-of-war to describe the events of 1963, including the Children’s Marches and 16th Street Church bombing, role-playing, oral histories and documentary films to show and empower students with a better understanding of the civil rights movement’s complexities. For more information, contact the Education Department at 328-9696, ext. 246. Breakout Games is for those who would rather solve mysteries than play the spectator. It has seven escape rooms that have varying storylines. Participants have 60 minutes to escape by cracking codes, solving puzzles and following clues. Open 9 a.m.-11 p.m. The trampoline park has activities such as open jump, extreme dodgeball, foam pit, basketball, tumbling and toddler city. Steel City is open 2 p.m.-8 p.m. Monday-Wednesday, noon-11 p.m. on Fridays, 10 a.m.-11 p.m. on Saturdays, and 10 a.m. to 8 p.m. on Sundays. It is closed Thursdays. Attractions at Treetop Family Adventure include Go Karts; Laser Tag; Mini Golf; The Kid Zone, which includes a three-story indoor playground clubhouse; and Animal Trax electric plush animals to ride. The arcade and prize center also features miniature bowling and laser frenzy. Open Sundays-Thursdays noon-6 p.m., Fridays noon- 9 p.m., and Saturdays 10 a.m.-9 p.m.